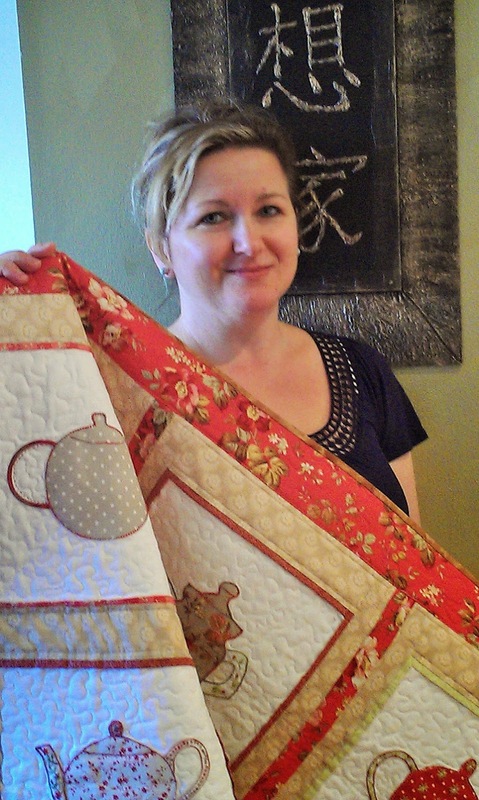 The raffle prize was a handmade quilt, featuring appliqued and embroidered teapots. It was won by Jasna Dolic of Noble Park, who purchased her ticket at the Mulgrave Makers Market; congratulations to Jasna; we hope you enjoy it. A big thank you to the ladies who donated materials, and their time and expertise, in crafting the quilt; Veronique, Peta, Shirley, Maxine, Sally. Orchards Cafe, in Hopetoun Rd, Park Orchards, continues to display and sell the tea cosies for the fundraiser. Thanks to Cheryl and Soren. They seem to manage to sell a couple of cosies every week; at that rate, they’ll all be sold before next year’s event. I currently have another $45 to add to the total. Check out our fundraising total any time at http://vic.cancercouncilfundraising.org.au/craftacure. I’ve booked the dates for the tea cosy display for next year, to be held at the Warratina Lavender Farm again. It will run for 2 weeks, the second week of the July school holidays, and the first week of school term. That will be from 4th to 19th July, 2015. I hope to see you all there again next year. As previously mentioned, next year, we’ll include a section for small soft toys; no bigger than a teapot! During the display in July, a lot of overseas tourists came through, predominantly from Asia. They checked out the tea cosies with interest, but tea cosies are not big in Asia as far as I know. We might be able to sell soft toys to them more easily. But that’s not the only reason; a lot of people indicated interest in expanding the competition to include more crafts...so why not??!!! I’m already looking forward to seeing all the lovely tea cosies and soft toys.